This mix of patterns is so amazing to me. I would love to do this in a small space to make a big impact. An all white bathroom perhaps.... Hmm. Love it! 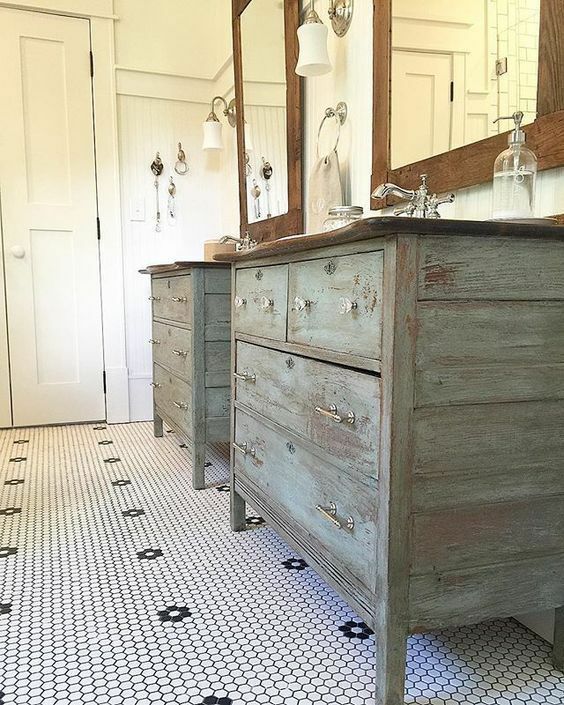 This next tile is so super adorable and so inexpensive! I see it all the time and it reminds me of Nicole Curtis every time. I remember one of her first episodes, she put this tile down in one of the bathrooms and it was just so beautiful and classic to me... I really wanted to maybe put this in our bathroom in our home but my husband wasn't a huge fan. I had already picked out our tile but on our way out I saw this one and what really sold me was that it was a third of the price of what we already picked out. Still, husband wasn't impressed. Imagine if I said I wanted to put the mixed patterned tile in there. HAHA! I'll probably have to sneak it inside and install it myself, but it will happen someday though. Oh you just wait. Ok I'm back and I couldn't find it.... AGH! This picture was found on Pinterest and the site is no longer available. Next up isn't exactly a tile, but It functions sort of the same way. 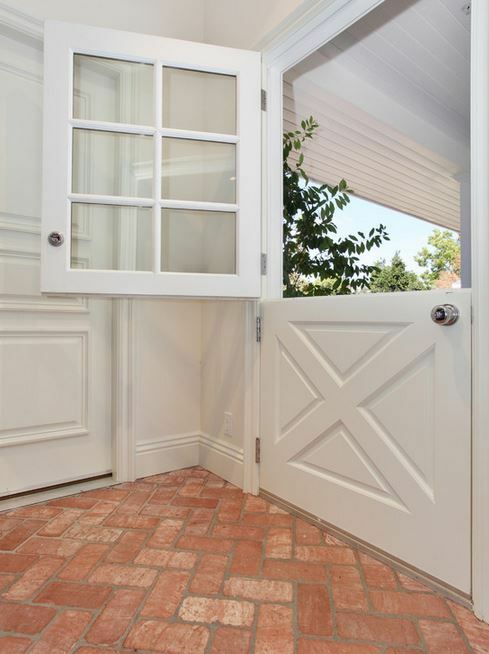 I love seeing brick floors in homes. It's so rustic and charming. I would love to have brick floors one day. We've toyed around the idea of putting a brick pathway outside our home now so we will see how or if that turns out. 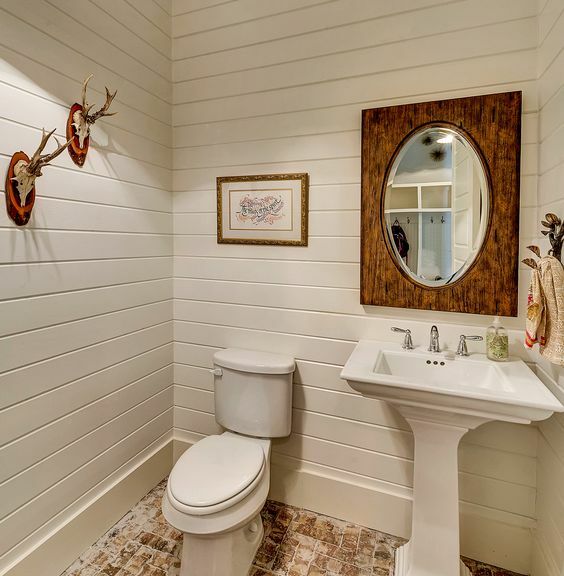 This bathroom is just so charming and cute, I just had to throw it in here. Last we have marble tile. This is by far my favorite... 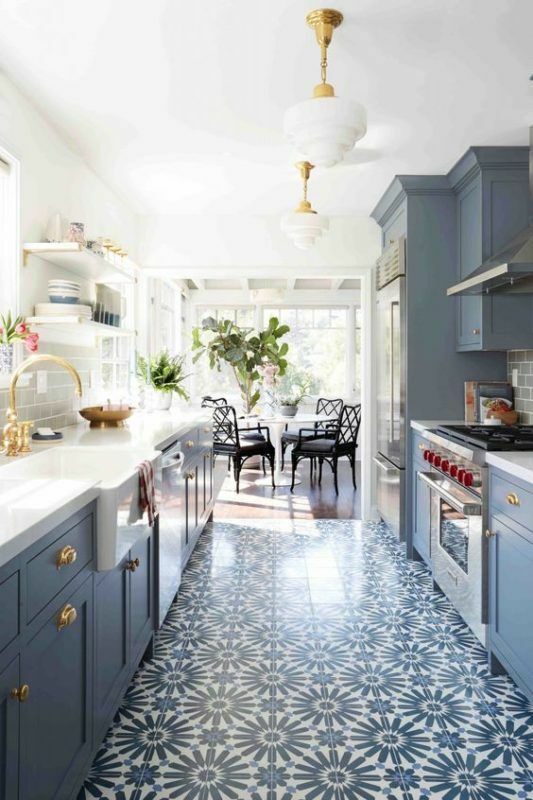 It's so clean and classic and comes in so many different patterns to fit any style home. Last weekend we bit the bullet and purchased tile for our bathroom. I was originally imagining a hexagon small tile in there. I wen't looking and came across a herringbone pattern. I instantly fell in love and the husband approved. We got it and we're just waiting to install it.... I'm afraid it will sit in the boxes forever. We had a construction friend come over to help us determine the issue with our foundation. The tile in our bathroom and kitchen now are cracking and coming up. Taylor and I thought it was because the foundation was bad because our bathroom slants, and our kitchen is shaped like a bowl. #OldHouseProbs... We wanted someone to come look before we went laying tile because we don't want it to crack. Our friend told us he didn't see any issues with the drywall cracking so that led him to believe when they added on our bathroom in the 50's, they added it on crooked to match the rest of the already settling home. EYE ROLL! BUT that meant there wasn't much settling and he said the tile was cracking because it wasn't installed right. They put it right on the sub floor rather than putting down wonder board... Big words... Meaning we need to lay down wonder board before laying tile. So glad he came over to help because we wouldn't have known that part. We won't know for sure whats up with the foundation until we can get someone to crawl underneath our house to look. But until then, I have a patch of my pretty new flooring sitting on my bathroom floor. I can pretend right?? 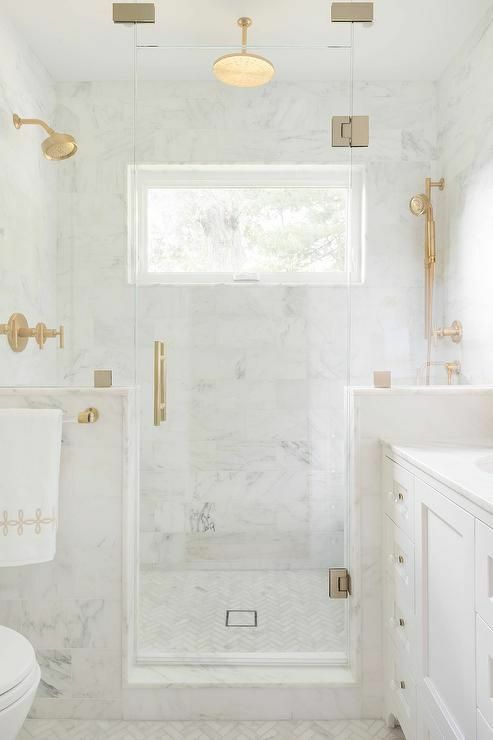 So many pretty marble options. I still love the hex tile but that herringbone is just awesome. 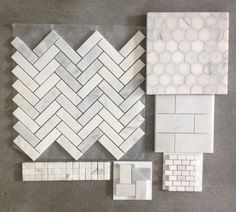 I've always loved the herringbone pattern and when you mix in marble, it's what my dreams are made of, peeps. 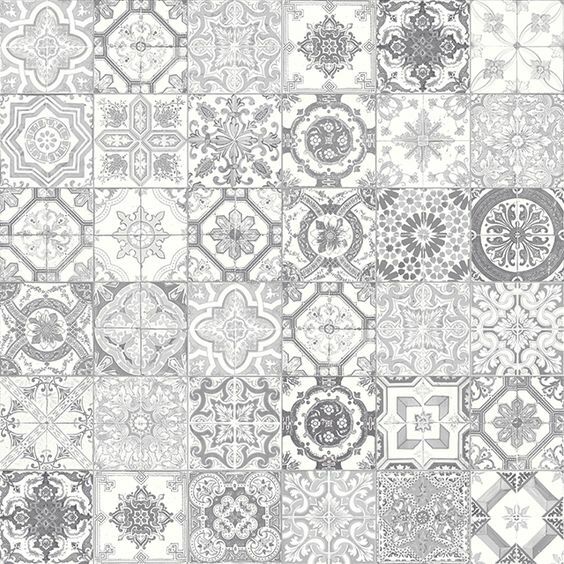 Here is the tile we purchased for our bathroom. I can't wait to see it in! 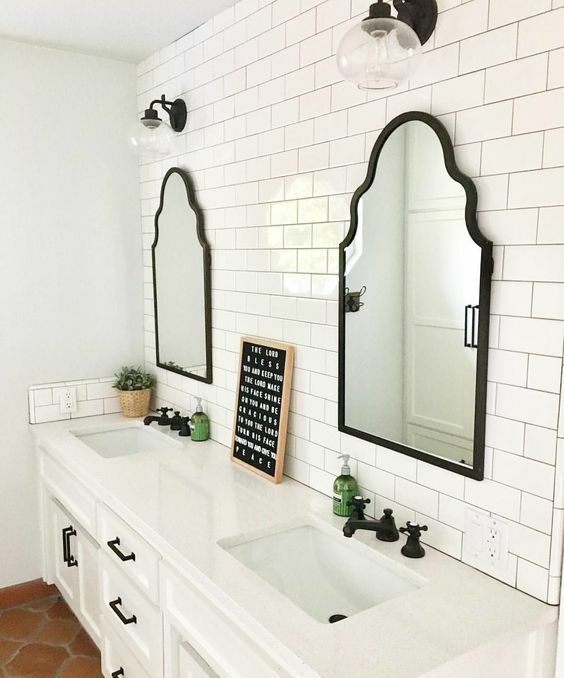 After that, the vanity and sink! WEE!!! Hope you all have a wonderful weekend and as always thank you for stopping by to see what i'm up to!